Barbados’ south coast is considered the liveliest part of the island, and there are plenty of shops along this stretch of coastline for you to browse and make purchases from. There are numerous places to shop on the south coast, so we’ve highlighted those most prominent to help get you started. A great place to start is in the nation’s capital of Bridgetown, one of the central shopping districts on the island with the most extensive variety of shopping options all in the one place. From local to international fare, banking facilities, crystal and jewelry, duty-free shopping, pharmacies, shoe stores, and so much more, a trip to Bridgetown is a must on any shoppers list! In Bridgetown, the two main streets for shopping are Broad Street and Swan Street. In Broad Street, you’ll find mostly duty free items and designer brands, but there are also some local fashions and specialty stores for you to visit along the way. Broad Street is home to one of the Cave Shepherd stores with a wide selection of duty-free items like designer perfume and cosmetics, cameras and electronics, liquor, cigars, sportswear and beachwear, local music and top quality souvenirs. 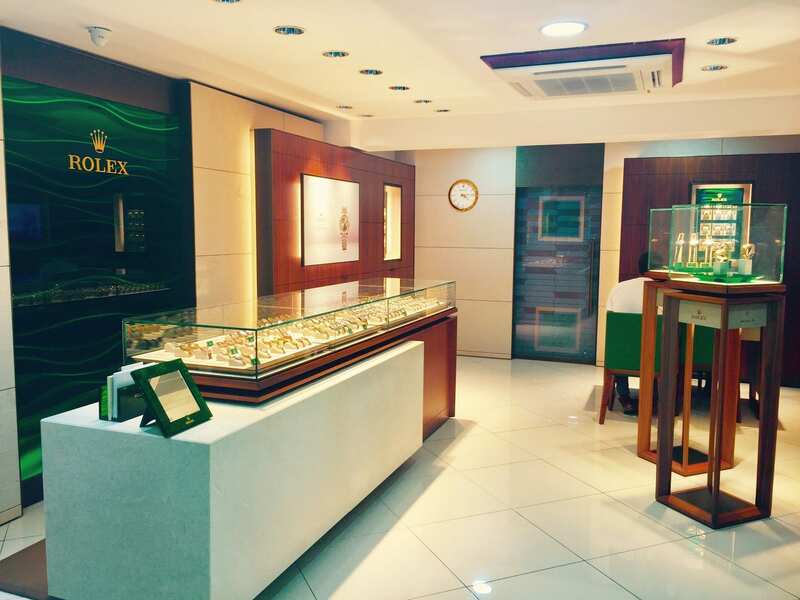 — Columbian Emeralds International – duty-free jewelry and watches, with all the renowned brands. — The Royal Shop – high-end duty-free jewelry and watches (the only official Rolex retailer on the island). Swan Street is a ‘pedestrian only’ strip that runs parallel to Broad Street. It’s a great place to pick up local bargains from the stores and vendors lining the entire stretch of the street. With more of a market style atmosphere, you will find clothes, market produce, shoes, CDs and DVDs, natural juices, fake designer sunglasses, belts, and hats, just to name a few. We also suggest you take a walk through the surrounding laneways to pick up a variety of shopping bargains you won’t find anywhere else! Did you know? There is a shuttle service to and from Bridgetown operating from hotels on both the west and south coasts from Monday to Saturday. Check with your hotel’s activities desk for more information. One of the best places to get authentic souvenirs in Barbados is at Best of Barbados Gift Shops. Best of Barbados is a family-owned business, who have been making and designing top quality local gifts and handicrafts on the island for over 40 years. They stock a large variety of Bajan-made souvenirs, ranging from prints and designs by the company’s founder (artist Jill Walker) and her family, to jewelry, art, paintings, cookbooks, beach bags, towels, T-shirts, music, and DVDs. On the south coast, you’ll find their stores at Quayside Centre in Rockley, Southern Palms Hotel in St. Lawrence Gap, Bridgetown Cruise Terminal, and in the Departure Lounge at Grantley Adams International Airport. Sheraton Centre is a busy mall located just off the ABC Highway in Christ Church. It houses over 120 stores and services in one location, including duty-free shopping, a cinema, food court, banking services, spa and salon, and much more. The mall is open from 9 am to 9 pm Monday to Saturday, and also offers a daily shuttle service along the south coast. The cruise terminal has a variety of shopping options for anyone who takes a cruise to Barbados. Among the more notable retailers are Diamonds International, Little Switzerland, and Best of Barbados Gift Shops. Just outside of the cruise terminal is the Pelican Village Craft Centre. Stroll around the retail shops and gallery, and purchase anything from woven baskets, paintings, photography, wood carvings, leather craft, and pottery, all made and designed by local and regional artisans. Just a short walk from the Bridgetown Port, on Hinks Street, you can take a guided tour of the chocolate factory, sample the variety of dark chocolate they have on offer, and take some home for a treat! Along the South Coast main road is the Hastings Farmers Market (http://hastingsfarmersmarket.com/) at the ArtSplash Centre. It’s open both Wednesday and Saturday mornings, and you can pick up local produce like natural honey, baked bread, soaps, literature, arts, and crafts. Further down the South Coast main road is Lanterns Mall. Here, there is a variety of dining options available, as well as some local clothing stores, a health food shop, and a convenience store. Also on the South Coast main road is Coconut Walk with a few shops selling clothing, jewelry, homewares, and surf wear. After Coconut Walk, you’ll arrive at Quayside Centre (close to Accra Beach) with some souvenir shops and fashions with some great gift options. Further down in Worthing, there are more souvenir shops as well as another Cave Shepherd outlet, and both Massy and Trimart supermarkets. Just behind Massy, you can take a walk through Peronne Village, a small shopping complex housing fashions, jewelry, boutiques, beauty salon, medical facilities, and a Coffee Bean shop selling a variety of hot and cold drinks, as well as freshly made food to satisfy any tired shopper! St. Lawrence Gap is home to some street vendors selling leather goods, sarongs, and handmade jewelry, amongst other things. There’s also the Chattel House Village with some boutiques and shops selling all manner of local souvenirs. Dover is located within the central south coast tourist hub, so you’re bound to find lots of souvenir shops for those unique local gifts and Barbados memorabilia here. Last, but not least, is the Oistins Fish Market and Friday night Fish Fry. Head towards the back of the action close to the sea, and you’ll come across a long line of local vendors selling traditional, as well as more unusual, souvenirs.